Another round in the Department of Justice’s never-ending war against free will is underway today with the release of indictments against Bodog and its Canadian founder, Calvin Ayre. The DOJ has also seized the bodog.com domain, which ranks high on the list of fruitless government endeavors, since Bodog abandoned that domain in favor of a branching family of Bodog- and Bovada-titled homes in a process spanning the last couple of years. Except for the fact that the indictments make it even less likely that Calvin Ayre will be doing his shopping at Macy’s or checking out the nightfall fireworks at Mt. Rushmore — as if those stops were on his travel itinerary anyway — there’s relatively little here that’s groundbreaking. And yet, in the interest of reporting all the news, we catch up with the latest. New Casino – Ignition Casino – Review it here. In an update at PokerFuse, probably the best of several early-breaking reports on the story, it’s reported that the records of two Bodog-connected online payment processors were seized in connection with the investigation. The two, JBL Services Inc. and ZipPayments Inc., processed roughly $100 million in payments to and from Bodog and its US customers, between 2005 and at some point in 2008, when funds from those processors were seized. Despite pooh-poohing from the online-poker crowd in general, in part because all of the former Bodog-branded US-facing stuff was long ago moved to a separate company and brand name at Bovada.lv, there probably was a real reason for the DOJ to continue the push against Bodog in these several months following last year’s Black Friday disruption. Been listening to sports radio much? I have, and I can confirm that both the ESPN channels and the indies have been running plenty of Bodog ads on recent months. The truth is that the DOJ doesn’t really care that much about online poker, particularly after the important decision it issued a few months back that online poker may itself not be governed by the UIGEA. What this really seems to be about is an effort to trim back Bodog’s brazen push into the minds and hearts of America’s sportsbettors, who are going to continue to bet on games no matter what. The indictments, therefore, can be seen as an obvious move to defuse and decentralize Bodog’s recent hearty sportsbetting advertising push. It’s perhaps the DOJ’s most blatant whack-a-mole move to date. Ayre himself has checked in via a couple of breaking pieces at calvinayre.com. The first is a newsy piece which relays the seizing of the old bodog.com domain, and the second is a report featuring Calvin himself which questions the DOJ’s tactics and motives, including the seeming leaking of the indictments to Forbes’ pet gambling writer, Nathan Vardi, before their general release. Interesting stuff, if a bit one-sided. Meanwhile, Bodog probably has to go scrounge up a couple of new payment processors. Not to replace Zip or RBL, but whoever Bodog is using these days, because the game has become one of lining up reserve channels. That’s the real whack-a-mole process going on. 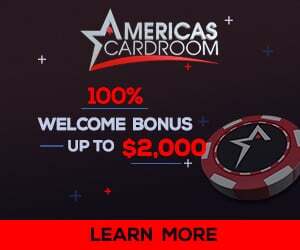 Posted in Online Poker, Poker News, Sports Betting, What's New Blog and tagged bodog, Calvin Ayre, DoJ, online gambling, online poker, sportsbetting. Bookmark the permalink.